Any work of art becomes a classic when it speaks to the human being. To create thrilling revelation an artist has to first thaw inner emotions and then reach the grand finale. Amrita Shergill was one such Indian artist who integrated the pictorial idiom of the westand Indian vision to become one of the pioneers of modern painting in India. Her name has been wriften in the archives of Indian art along with in the Gaganendranath Tagore, Jamini Roy and Rabindranath Tagore. Dr. USHA KAKKAR vividly weaves a biographic sketch drawing from the short but tortuous life of this great artist from Punjab who had become a legend in her life time.
" Art, it is my conviction, must be connected with the soil if it is to be vital." These lines of Amrita Shergiil show a deep sensitive relationship she had with modern India. Even after five decades since her untimely death in 1941, she is recognised as one of the most significant Indian painters. Her best contribution to the development of art in this country was that she liberated Indian art. Ruby Von Leiden wrote of her, "Art in India was never the same after her comet like appearance". Mulk Raj Anand,a well known writer from Punjab said, "For the first time an Indian painter had the courage to. paint ordinary people, human beings even of the down-trodden world of the hill states of North India. And she reproduced in their agony, the sadness in their faces, and the colours, the grey colours, in the hill noon with the extraordinary sensitiveness." Even when she was a child, she showed every sign of becoming an artist. She would draw or paint on any bit of paper she found. She would paint on the walls and was never interested in a black-pencil. tt had to be coloured. The Shergill family left Budapest in 1912 and settled down at Shimla. Amrita was rebellious by nature, she disliked compulsory attendance in the Church of Jesus at St. Mary Convent Schcol where she was sent to study. A non-believer, she denounced the Catholic rituals. When the head of the institution came to know of it she expelled Amrita from school. Thus ending her formal schooling. She however spent her time in painting, playing the piano, and educating herself. Amrita's uncle Erven Baktay, a good painter himself, straight away recognised her exceptional talent. He suggested to her that she should draw from live models, a practice she followed all through her life. He also suggested that Amrita must be given an opportunity to studying in one of the major schools of Paris. lt was a fulfillment of her cherished dreams. She used to say that from her very childhood she knew that she was destined to become a painter. But Amrita had a multi-faceted personality. She played the piano superbly, and could have easily become a world famous musician. Music was a sort of escape for her. To be a painter came naturally to her, she herself wrote, "lt seems to me that I never began painting, that i have always painted. And I have always had, with a strange certitude, the conviction. that I meant, to be a painter and nothing else." Amrita along with her parents and younger sister arrived in Paris in 1929. She was introduced to professor Pierre Vaillant. He was much impressed with the work Amrit showed him and she was admitted to the Grand Chaumiere. She started working there with her usual nonparel zeal. The human form was of special interest to her. She made several sketches of male models. She also met professor Lucien Simon who was teaching at the Ecole Nationale des Beaux Art. Specimens of Amrita's work fascinated him and he helped her in getting admission to that well-reputed institution. She worked there for three years and won the first prize each year for portraits and still-life paintings. A prolific painter, she painted over sixty pictures during the three years of her stay in Paris, commenting on Amrita's work during these years, Karl Khandalavale, a distinguished art critic, wrote, "The Paris sketch-books show Amrita as a talented hard- working student imbibing various influences and occasionally displaying in her drawing a suggestion of that powerful handling of form which she was later to develop." While in Paris, Amrita was highly influenced by Cezanne and Gaugin. Aesthetic virtues and simplicity of form impressed Amrita and inspired her. lt was however Paul Gaugin whose work totally bewitched her and she confessed that she liked him the best of all. lt was in the year 1933 that Amrita, began to think seriously of returning to India. She wrote to her father, 'l wish to return primarily in the interest of my artistic development. I now need new sources of inspiration which I think I can find in India, its people, its literature, all of which interest me profusely and which I wish to get acquianted with. "lt was here that she managed to evolve her own original style. 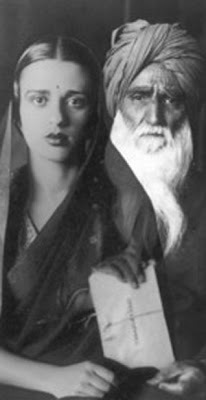 After her arrival in India in Decernber 1934, Amrita went straight to Amritsar an.d spent the first few months there in her ancestral home Majithia House. As an artist, Amrita felt that her arrival in India signified an almost a revolutionary change. She realised her artistic mission then,"... to interpret the life of Indians and particularly the poor Indians, pictorially; to paint those silent images of infinite submission and patience, to depict their angular brown bodies, reproduce on canvas the impression their eyes created on me; to interpret them with a new technique, my own technique that transfers what might otherwise appeal on a plane that is emotionally cheap to the plan which transcends it and conveys something to the spectator who is aesthetically sensitive enough to receive sensation." ln India Amrita first made an impact when a few of her paintings were displayed at the annual exhibition of the Shimla Fine Arts Society. Almost every one who had 'eyes to see' realised that Amrita was no ordinary painter. How ever it was in the year 1936 that the press in India began to take serious notice of Amrita Shergill as a significant and extraordinary painter. After spending several months in Shimla she shifted to Saraya, in the district of Gorakhpur, the winter retreat of Majithia family. lt was while she was in Saraya that she came to know that she had won two prizes at the fifth annual exhibition of the All India Fine Arts Society which was held in New Delhi. The next exhibition of her work was held on 20th November, 1936 in Bombay. Some of her best paintings at display were: Group of Young Girls, On the Terrace, Child Wife, Hill Women, Portrait of My Father, and Villagers. An art critic wrote about her work, "She chose to depict only the dark side of life as though she wishes to be an interpreter of the terrible misery that abounds in our country and which seems to have a profound impression on her life." From Bombay Amrita went to Ellora and Ajanta. She was entranced by the place and the caves. She found Ellora magnificant and Ajanta curiously vibrant and lovely. This visit had made a tremendos impact on her "After that she set out on her south-Indian Odyssey. First of all she went to Hyderabad and held an exhibition of her work. She was highly admired for evolving new style as well her unique technique. Even Jawaharlal Nehru was highly impressed when he came to her exhibition and later wrote to her, "l liked your pictures because they showed so much strength and perception". Her South Indian Trilogy is regarded as her greatest achievement. The first in the South Indian Trilogy, was Bride's Toilet', the second was 'Brahmchari' and the third picture of the series was 'South Indian Villager Going to Market'. ln this Trilogy her art found full fruition as a colourist. Kar KhandalaVale in a review said, "Judged by any standards these three paintings are amongst the greatest painted not only in India but during the century." Besides the Trilogy, she made two more paintings' Elephants Bathing in a Green Pool' and ' ln the Ladies Enclosure'. She was awarded the first prize for the best picture in oils and the gold medal for the best picture by a lady artist at an exhibition organised by the All india Fine Arts and Crafts Society in New Delhi. Amrita had decided to marry Victor Egan, her childhood playmate and her first cousin. He was a trained medical man. Although it was Amrita's mother who had in the first instance, suggested that she and Victor should get married, when Amrita told her parents that she had finally made up her mind to marry him, her mothers reaction was hostile. Amrita's mother wanted her to marry someone rich and important, but Amrita was not interested in marrying anyone for his wealth, social position and status. She had decided to go to Hungary and get married. Victor's mother did not oppose and they got married on 16 july,1938 in a civil court. Lost in her own world Amrita had no sense of realities of life. The couple however maintained a balance since Amrita was always in the air where as victor was totaly earthbound. Amrita painted at least eight pictures during that period, some of which are in the National Gallery of Modem Art. The situation in Europe was getting ominous at that time. There was likelihood of a war breaking out at any moment. So the young couple decided to leave Hungary with whatever little money, they had and succeeded in reaching India. It was decided that they would live in shimla. The idea was that Victor would set up medical practice and Amrita would paint. Somehow things did not work out. Amrita's cousin invited them to come to Saraya and stay with them. They went there but an uncertain future made Amrita very depressed. She painted two pictures at that time - 'Ancient story-Teller' and 'The swing'. Ancient story Teller' is among the best pictures she had painted since her return to India and even won an award at an exhibition organized by the Indian Academy of Fine Arts, Amritsar. At Lahore, Amrita and Victor had accommodation in the vicinity of the Mall, the most fashionable part of Lahore then. lt was while staying in Canal Park at Lahore that she had her first meeting with the Russian painter Svetoslev Roerich, who had made India his home. He described her as an artist of outstanding promise. Their home became a meeting place for select group of people. She got much enjoyment out of meeting people whom she liked or whom she considered sufficiently cultured. She could not stand mediocrity. Amrita died on 5th of December, 1941 at a very young age leaving behind a new and unexplored field of contemporary painting for the future Indian artists. On 7th December she was cremated as her parents had decided that it would be a Sikh funeral. A brief religious ceremony under the Sikh rites was held where the last rites were performed by Amrita's father. There are several versions about the cause of her sudden and tragic death. Some say that she was poisoned. Others say that her husband did not call a doctor till it was too late. Perhaps he had over wearing self-confidence in his ability to treat her. Anyway it is all speculation. The melancholic eyes of her subjects shall for ever stir up the passion in several hearts and she would reach out to the souls of many through mute images of her plastic art expressing gravity of human anguish.